Several Turks have had their share of 15 minutes of fame this week when their videos showing their furious reaction to United States sanctions went viral, as they destroyed dollars and broke their iPhones. In one of the most popular videos, a Turkish butcher was seen “mincing" dollar bills, while a businessman from the southeastern Şanlıurfa province opted to burn them. As some social media users praised these “patriotic” acts, others ridiculed them, asking why all of these people used one dollar bills, while some claimed they were only after publicity. Daily Hürriyet columnist Ertuğrul Özkök stressed in his article on Aug. 17 that the latter protester probably used either an iPhone or another mobile device with an Android operating system, which is also made in the U.S., to upload the video to social media. Ahmet Hakan, another Hürriyet columnist, also touched upon the issue in his article on Aug. 16. “By burning your dollars, you don’t even harm the U.S. a little bit. You only harm your own pocket,” he said. The controversial videos came after Erdoğan vowed Turkey would boycott U.S. electronic goods in retaliation to sanctions amid a deepening crisis between the two sides over the continued detention of American pastor Andrew Brunson. “If they have iPhone, there is Samsung on the other side. We have Vestel’s Venüs in our country. 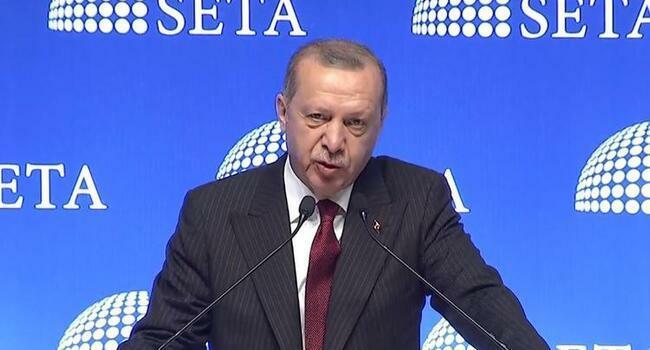 These are the measures we will adopt,” Erdoğan said on Aug. 14, referring to a Korean and Turkish brand.